Bio: Omiros Papaspiliopoulos is ICREA Research Professor at UPF. 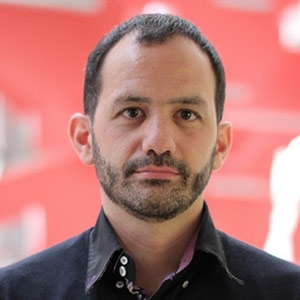 He is the Scientific Director of the Barcelona Graduate School of Economics Master's Degree in Data Science and the Data Science Center at BGSE. He is currently Deputy Editor for Biometrika and he has served as an Associate Editor for Biometrika, Journal of the Royal Statistical Society Series B, SIAM/ASA Journal of Uncertainty Quantification among others. His research has appeared in the top journals in Statistics, including several articles in the Journal of the Royal Statistical Society Series B, Biometrika and the Annals of Statistics. He has delivered more than 100 invited talks, and has given courses at ENSAE in Paris, Berlin Mathematical School, Department of Mathematics at University of Copenhagen, Engineering Department at Osaka University, CEMFI. In 2010 he was awarded the Royal Statistical Society's Guy Medal in Bronze. His research interests include Computational Methods, Bayesian Statistics, Stochastic Processes, Machine Learning.